All smiles on the Bronx river. It’s not everyday you run into a boat maker in the Bronx. 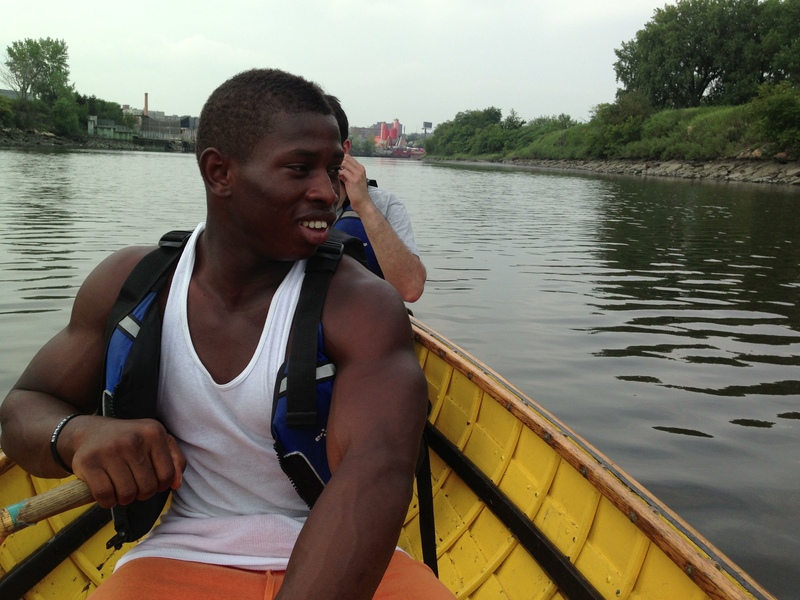 I took a row on the surprisingly serene Bronx River with West African immigrant Sekou Kroamh. Sekou left his country of Guinea four years ago, where he enjoyed working with his hands to build houses. Now he’s in New York working with his hands doing something else he loves. Listen to Sekou below. Catch up with us and subscribe! I agree, Sekou’s passion for his job is something we should all strive for! Thanks Efo! Remember Sekou is only 18… give him a few years, lol. No but seriously we really should all strive to the passion he has. He’s already a step ahead of A LOT of people.